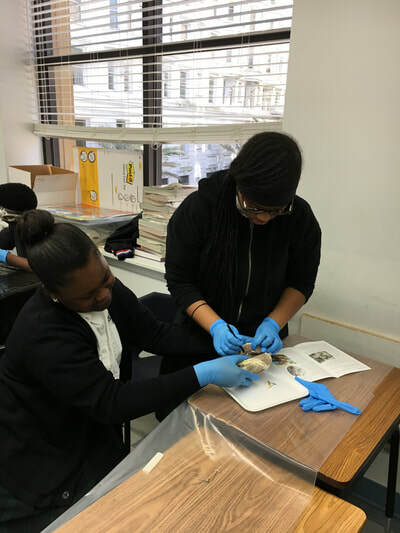 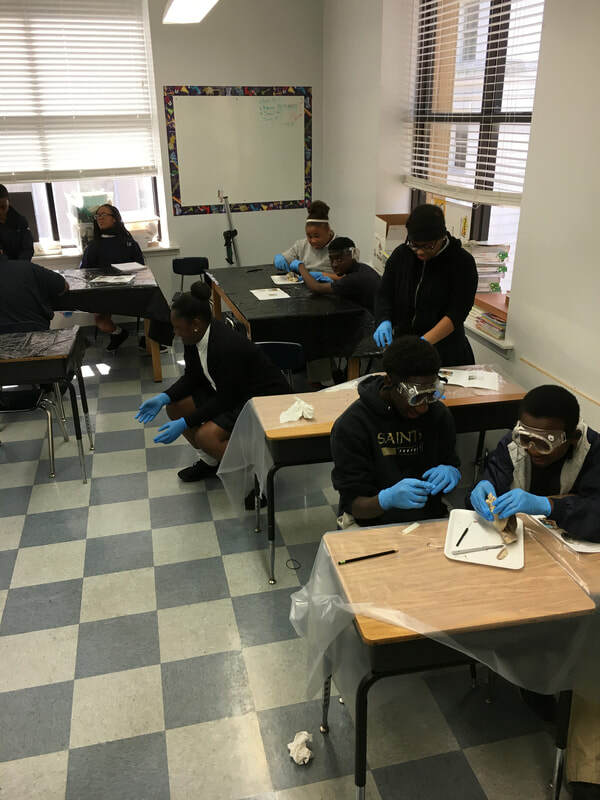 Education is a hands-on learning process that should both interest and inspire the students to learn even more outside of the classroom. 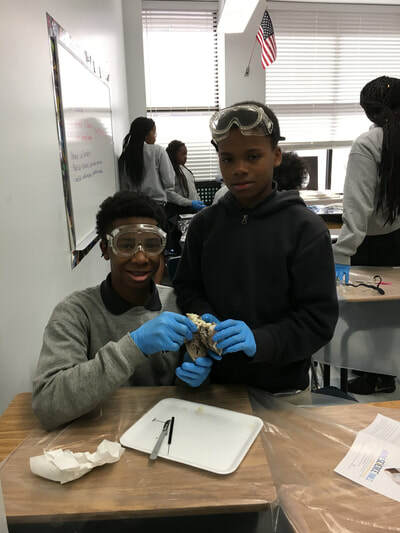 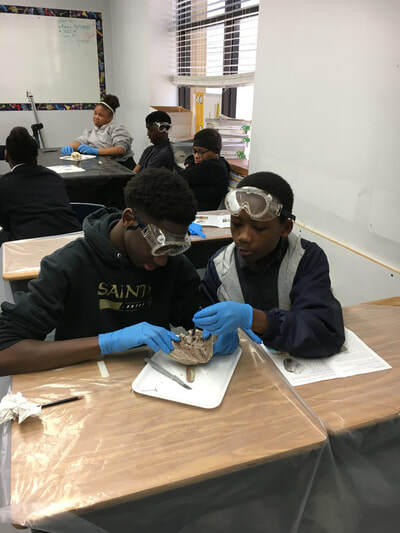 This is what Ms. Veronica Daniel is achieving with her 7th grade science students' dissection of a goat heart. 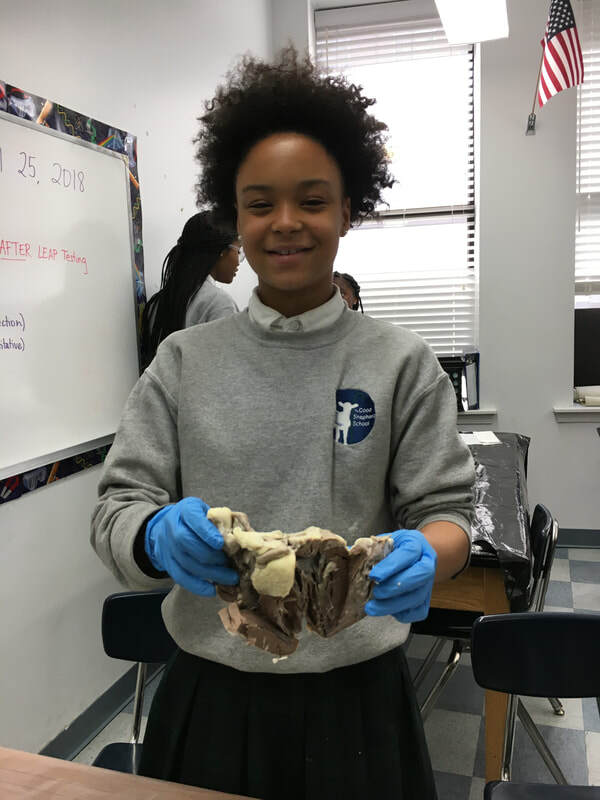 Students cut into the heart to see the parts first hand. 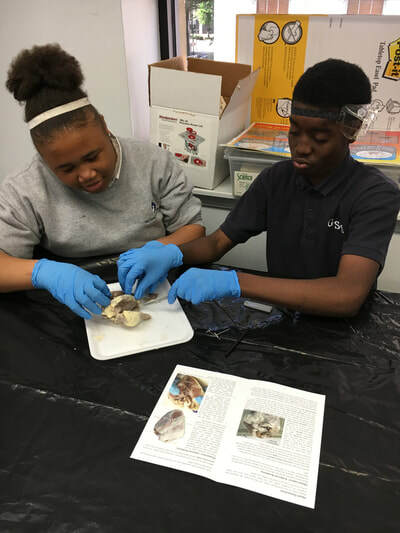 The hands-on experience allows them to label the parts of the heart and to see how blood pumps through the body.